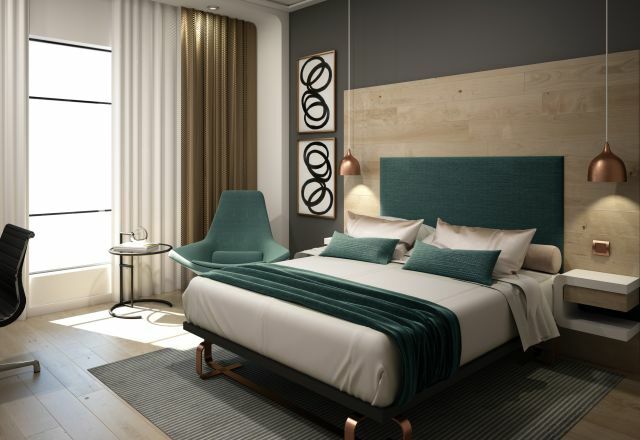 Garden Court Kitwe’s 130 modern rooms are equipped with familiar home comforts, productivity-boosting business amenities and contemporary design touches for a new standard of Kitwe accommodation in Zambia’s Copperbelt. Room options include queen bed or twin double bed standard rooms as well as the refined extras in our executive rooms. Whatever room configuration, you’ll get nothing less than a comfy bed, flat-screen TV, free WiFi, integrated workspace, en-suite bathroom, as well as blackout curtains and sound softening to ensure a great night’s sleep in Kitwe. Each room is designed with clever use of the space, providing comfortable corners for relaxing, built in closets for unpacking and making yourself at home, as well as space to stay productive with a desk and optional ethernet internet connection in every room. Bathrooms feature walk-in showers and clean modern design, with the option of a bath in select rooms. Views are urban or garden, and in-room entertainment includes fast free WiFi and a satellite TV selection of local and international sports, news and movie channels. International visitors will appreciate the convenience of built-in 220v multi-plug adaptors positioned to easily keep all your devices fully charged. Individually controlled air-conditioning makes it easy to keep things as quiet and cool as you like it, no matter how hot it is outside. In-room design touches includes copper details, warm wood and soft furnishings all with a city-contemporary feel that’s one-of-a-kind in Kitwe. Throughout our Kitwe accommodation, we’ve paid attention to the little details to make your stay homely but productive no matter how long you’re staying in the Copperbelt. You’ll find convenient plug sockets with fitments for international visitors, optional ethernet internet connectivity, a mini-fridge that can be stocked on request, 18-hour room service, quality toiletries in the bathroom, as well as tea and coffee facilities and an electronic safe for extra peace of mind. Relax with a comfy queen bed, free WiFi, walk-in shower, flat-screen TV, desk, electronic safe and in-room air-conditioning. All the modern home comforts of our Standard Rooms but with two double beds for the convenience and cost saving of guests planning to share. Feature extra refined amenities and comforts, more space, a generous bathroom featuring both a bath and walk-in shower, and of course the best views.